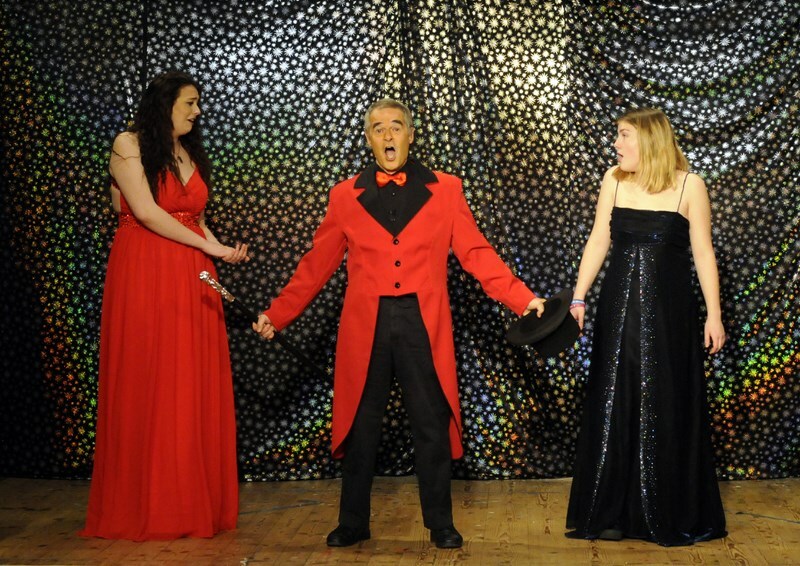 The Pop In Performers Group meet every Thursday night at The Drax Hall 6pm until 8pm. 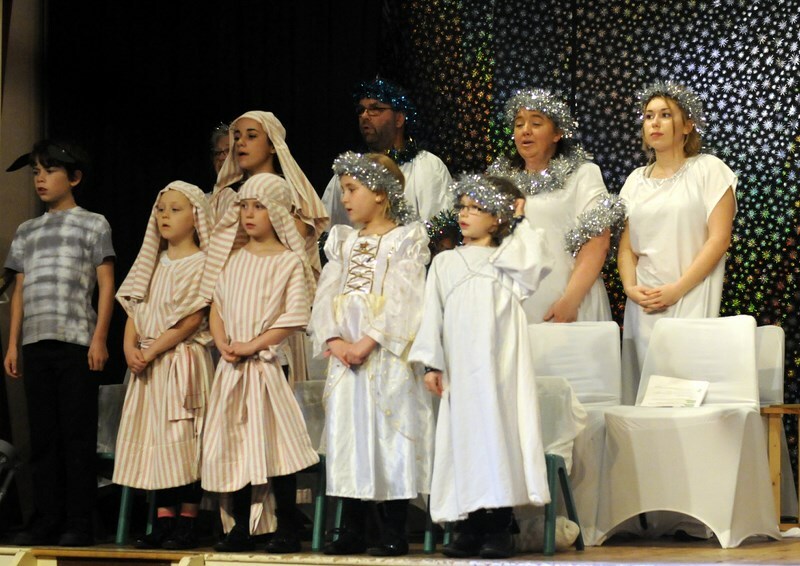 The groups includes adult and child performers and stages regular shows, a Summer Show, and a Christmas Show which showcases the local talent of all ages. 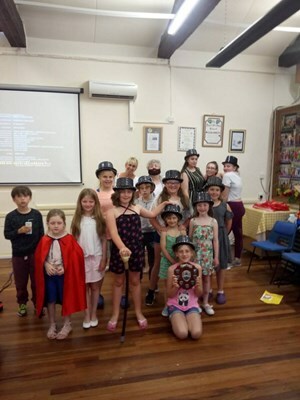 The group gives many creative opportunities to sing dance and to learn stagecraft, drama and artwork while producing productions. 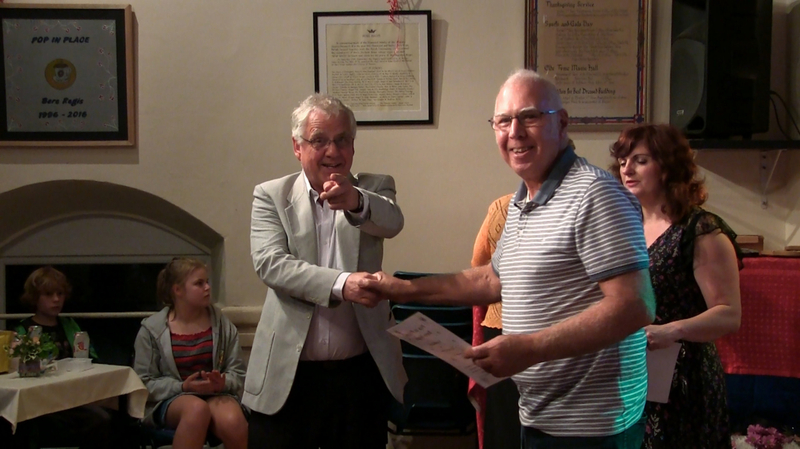 The money from the productions goes to various charities and worthy causes that are decided upon by the Team. If you have a worthy Cause that you would like us to consider please get in touch with us. New members are always welcome; all adults that join will need to have a DBS check to comply with our Child Protection Policy. So if you are interested and want to know more phone Alison Bennett 01929 472023. Intelligent questions were asked by many of our youngsters, who showed a real interest in the talk. Great singing too, well done everyone. 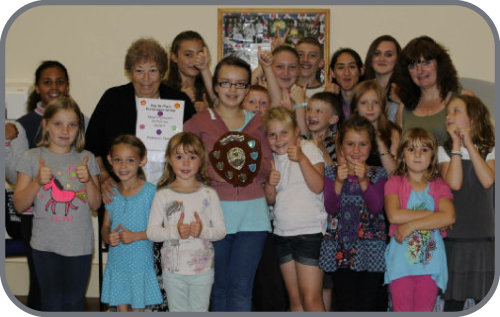 20th September 2016Tonight at Pop In performers we presented the shield for the most improved performer to Ella Bishop, Congratulations Ella, a great year in the group. In the summer we staged Way Out West and he really excelled in his role as Dusty Slim. There is a great lesson here for us all we just need to keep going and sometimes against all the odds you can still become really great at things if you want to be. Congratulations to Jordan Hughes the 2017 winner, well done I’m really proud of you! 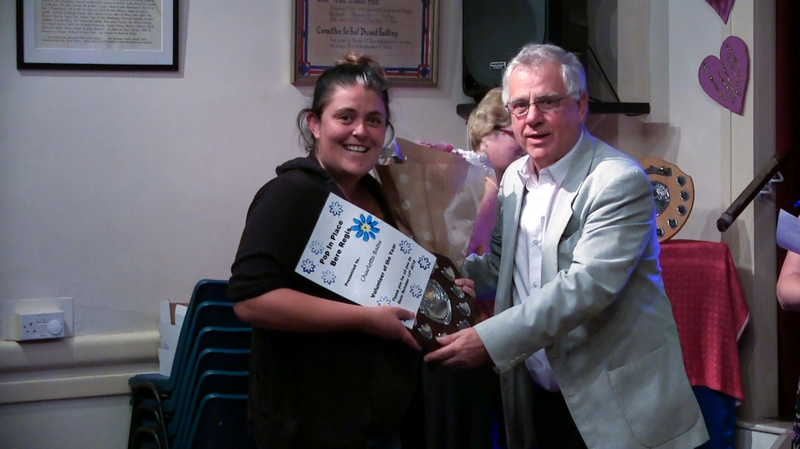 The Pamela Hoare Most Improved Award was awarded to Mollie Mahoney. 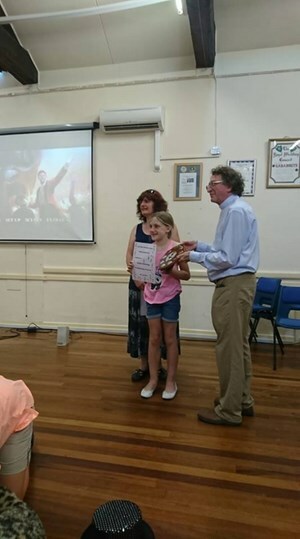 Danielle Whetherley Volunteer of the Year, Charlotte Helen Bates and Outstanding Commitment Kim Benjafield.Others certificates of appreciation went to Elizabeth Gale for sewing up of blankets for Africa Julia Lye for leading Movement to Music classes. Faith Francis for Choreography in shows and Ella Bishop for Long Service in Performing.